Explore the rocks! Clearly marked hiking trails provide a great opportunity for outdoor activity and scenic views at both rock formation sites. Located just a few miles south of I-80, off the Hazen exit and near Brookville, lies Scripture Rocks Heritage Park. Explore boulders and rock formations hand-carved with Biblical verses and the spiritual writings of Douglas Monroe Stahlman over 100 years ago. Many local legends exist on the man and the meaning behind the carvings. The mysterious and complex historical narrative can be explored via interpretive signage along the well marked trails, or in a booklet available for purchase at the trail head. 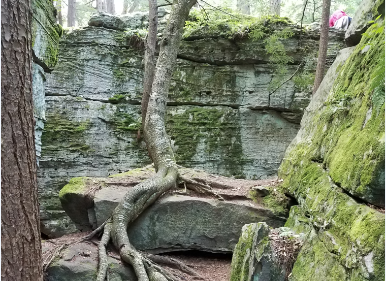 Located near Grampian and Curwensville, just south of I-80, Bilger’s Rocks is an incredible rock formation site. The 300-million-year-old sandstone formations are preserved and celebrated by the Bilger’s Rocks Association. 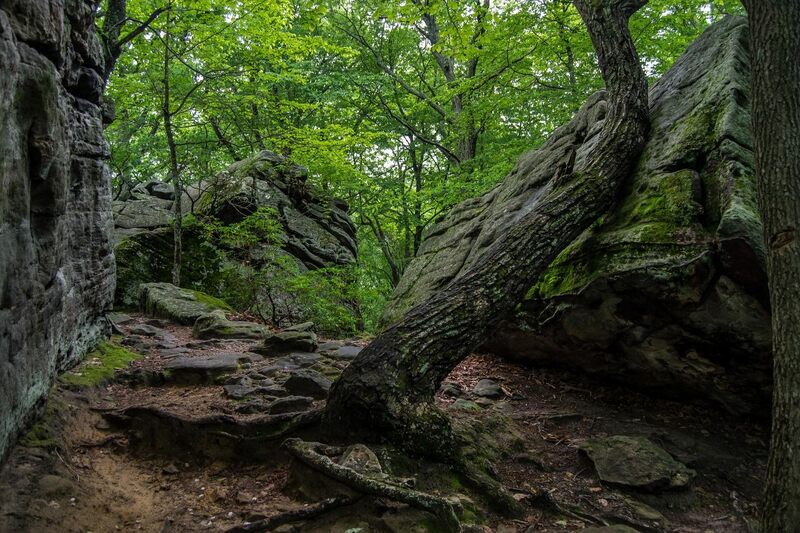 The natural area includes caves, cliffs, passageways and other unusual features for hikers and adventurers to explore. 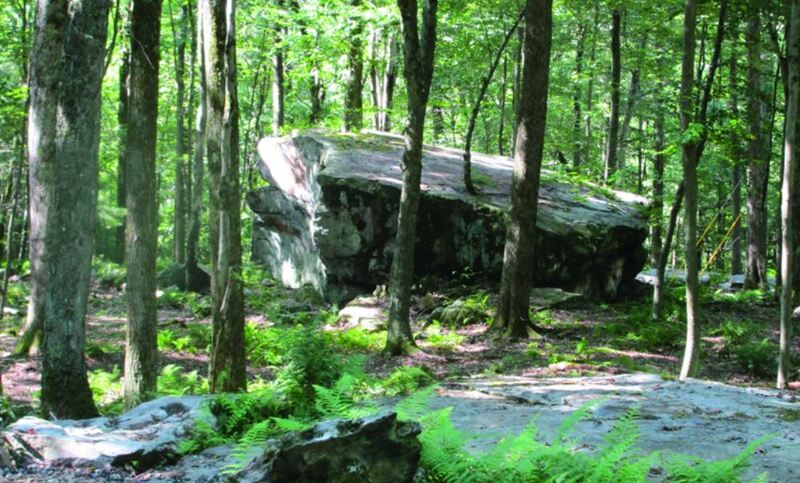 These rocks have attracted visitors for more than 10,000 years and were once used for shelter by Native Americans.